Comment by the judge, Alan Cox: Good look at one of the bigger games of the season as Oregon beat seemingly unbeatable Florida State, hitting home the key plays from the game. The article gave you a feel for what happened without simply being just a complete play-by-play recap, and had a great variety of quotes from both sides. It had a great lead and was easy and enjoyable to read. PASADENA, Calif. – Give a game ball to the data geeks, the emotionless analysts who crunched the numbers and determined that No. 2 Oregon would beat No. 3 Florida State and advance to the College Football Playoff National Championship presented by AT&T. Those of us governed by the pit of our stomachs, the ones who had seen the defending national champion Seminoles find a way to win no matter how scruffy their play, had trouble buying into the staging of Duck Dynasty at the Rose Bowl presented by Northwestern Mutual. Yes, Oregon had a plus-20 edge in turnover margin, but Florida State had come from behind in nine of its last 11 games. Yes, the Ducks dominated the Pac-12, winning their last eight games by an average of 25 points, but the Seminoles had won seven games by six points or fewer. They had the indomitable quarterback, Jameis Winston, who had not lost since a high school game in 2011. When the sun no longer lit the San Gabriel Mountains and the fourth quarter of the inaugural semifinal began, Florida State would seize control. It didn’t quite work out that way on a typically spectacular New Year’s Day in the Arroyo Seco. By the time the fourth quarter began, all Florida State had seized was up. The Seminoles’ 29-game winning streak vaporized, their composure lost somewhere amid five turnovers in six possessions in the second half, Jimbo Fisher’s squad got steamrolled by the Ducks 59-20. It took 101 Rose Bowls for a team to score that many points. Oregon set or equaled 10 records in the Granddaddy of Them All, including 639 total yards and 27 third-quarter points. The Ducks converted all four fumbles and one interception into touchdowns, and added another touchdown in there, too. Crazy is right. Up to the point early in the third quarter when the turnovers began, the Seminoles moved the ball well. They had issues in the red zone, scoring only one touchdown in four first-half trips, but they were moving the ball. In fact, they would finish with 528 yards of total offense. But all of a sudden, every time you looked up, the Florida State offense was trotting off the field. Greene pretty much agreed with Hill. For all of the predictions that Oregon would win, no one predicted that the Ducks would win like this. No one, maybe, but history. In fact, we saw this play staged 22 years ago at the Superdome in New Orleans. Miami strutted into the Sugar Bowl in 1993, with a 29-game winning streak (check) looking to win a second consecutive national championship (check) behind a Heisman-winning quarterback (check) only to lose its composure (check) and the game (check) to Alabama, 34-13. That game is remembered for a one-in-a-million play in which Tide safety George Teague chased down Hurricane wide receiver Lamar Thomas, tomahawked the ball out of Thomas’ grasp and, without breaking stride, turned upfield and ran. Even though a penalty negated the play, it represented Alabama’s dominance. This game had a one-in-a-million play, too. Oregon had already had converted two fumbles by freshman Dalvin Cook into touchdowns and extended a five-point halftime lead to 39-20 in the last two minutes of the third quarter. In all of its comebacks this season, Florida State had never been down by 19 points this late in the game. Winston quickly drove Florida State into Oregon territory. On 4th-and-5 at the Ducks 30, Winston dropped back, spun away from a tackler, and tried to reset his 6-foot-5 body to throw the ball downfield. When he went to plant his right foot, however, it slid back, and his left one didn’t stay on the ground, either. As Winston fell flat on his back, the ball flew out of his hand and hit the grass behind him. Referee Matt Austin, not to be outdone, sprawled right behind Winston. Amidst the prone bodies, linebacker Tony Washington scooped up the ball at the Duck 42 and sprinted 58 yards untouched. Florida State blocked the extra point, which is a good thing. That play prevented Oregon from hitting 60 points. The run of turnovers meant that Oregon scored touchdowns on possessions of 43, 43 and 57 yards. Oregon’s game plan had been to hit the accelerator on its uptempo offense in the first half and try to wear out Florida State. Marcus Mariota, by the way, threw for 338 yards and two touchdowns, and ran for 62 yards and another score. He would be named Offensive Player of the Game. But he wasn’t the story. The turnovers were. The turnovers explained why Florida State fell five games short of the 34-game winning streaks of last decade by Miami and USC, tied for third-longest in the postwar era. They explained why Oregon, which already got its first Heisman Trophy this season, earned the opportunity to play for its first national championship. And the turnovers explained why Helfrich could serve the ultimate indignity to Florida State and pull Mariota off the field with 9:00 to play. He was done. So were the Seminoles. 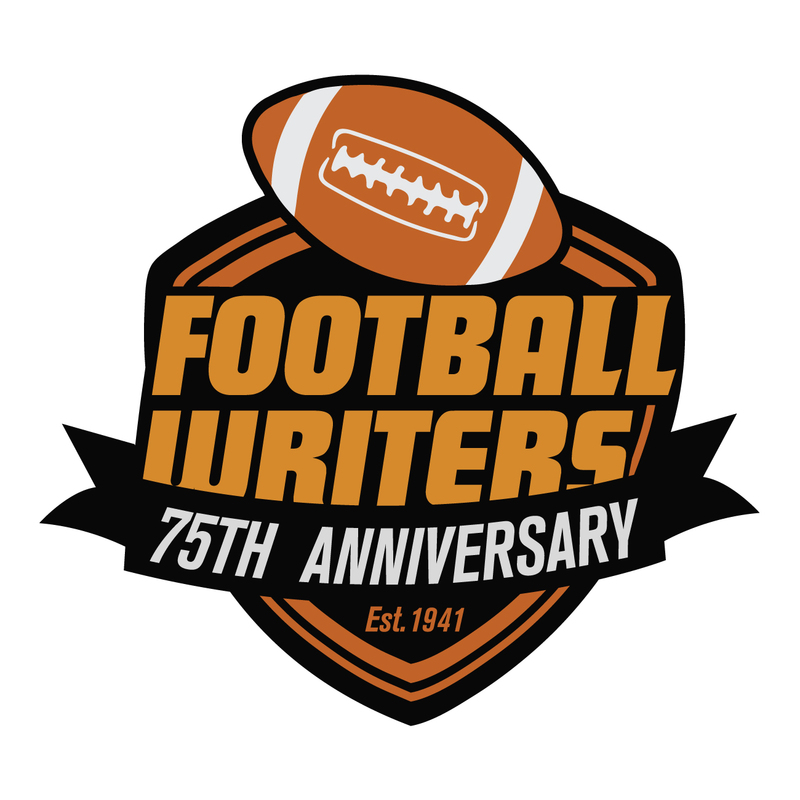 Background: Maisel has written the first-place game story in the FWAA Best Writing Contest for the third consecutive season, which is interesting since he keeps hearing that no one reads game stories anymore, and it’s his sixth first-place award overall. Ivan also won in 1994 for a Dallas Morning News enterprise story on the dearth of African-American coaches; in 2003 for a column on Dennis Franchione’s decision to leave Alabama for Texas A&M; in 2006 for a feature on the Tulane football team in the wake of Hurricane Katrina; in 2013 for his story on Baylor’s upset of No. 1 Kansas State; and in 2014 for his story on the Kick Six Iron Bowl. Ivan has covered national college football since 1987 for the DMN (1987-94), Newsday (1994-97) and Sports Illustrated (1997-2002). He is delighted to have worked at ESPN.com since November 2002. Ivan also has served as host of the ESPN Championship Drive podcast since 2007. Ivan and his wife, Meg Murray, live in Fairfield, Conn. Their oldest child, Sarah, 23, lives in San Francisco. Elizabeth, 18, is a freshman at Stanford. Their son Max, 21, died in February. He is missed every day.